I cannot even believe that August is already here... school is right around the corner for me & I feel super unprepared. 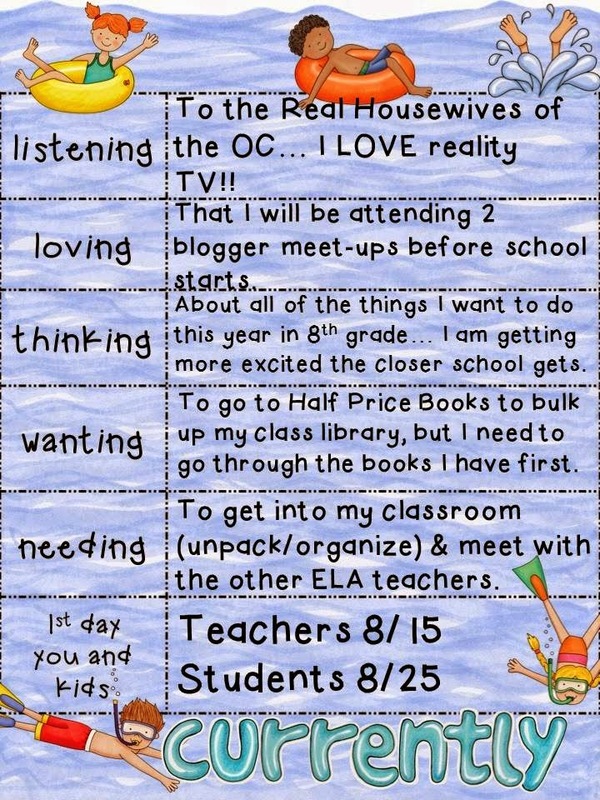 To get into the school spirit, I am linking up with Farley for the August currently. Head on over and link up!! I am so surprised that you start so much earlier than the students! What do you do the whole time? Jealous of your two blogger meet-ups! I am Currently watching the HW of Melbourne preview... I love reality TV too!!! I am actually driving up with a teacher friend for the Austin meet-up.. it'll be a mini girls trip before school begins. Can't wait to meet you! I'm so sad I won't be able to go to the Houston Meet-up!! Actually, I've been meaning to email you to let you know I wouldn't be able to attend because my kids are coming home that day. Y'all are going to have so much fun! Hopefully I can make the next one! It's nice you have so much time before the kids show up. We have three days which is never enough. I am so jealous that you have two blogger meet-ups. I would love to be able to go to one of those. Las Vegas sounded amazing too! Have a great weekend! Two blogger meet ups!!! Fun times! Good luck with your new adventure as an 8th grade ELA teacher! !